The Efthimeio Centre is located in the region of Ancient Harbor, in Ancient Corinth. It is built in a quiet landmark near the sea and at the same time near the city of Corinth, easily accessible by the road network, but also by the local transportation. 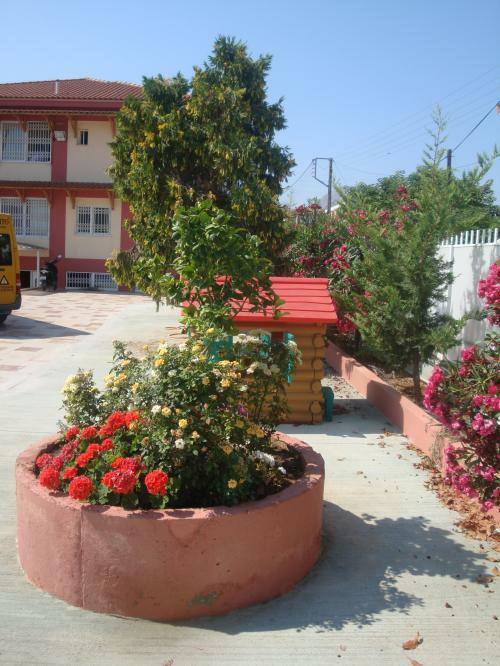 The Efthimeio Centre is ideally built near the coast, with respect to the natural environment, and surrounded by an excellently shaped and privately-owned garden. The Centre meets all modern standards. 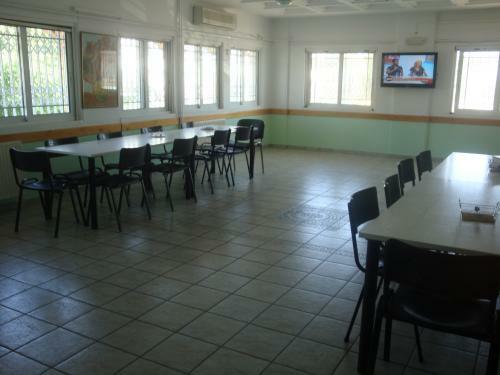 Efthimeio Centre lis located in peaceful place, near the coast. 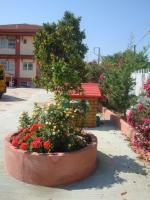 It is surrounded by a beautiful garde. Spacious parking is available. 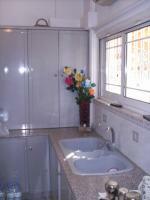 All premises are completely air conditioned during summertime and heated in the winter. Systems of fire detection and fire safety are in full operation. Special ramps help the access in individuals with kinetic problems while in the interior of building, lifts are in place. 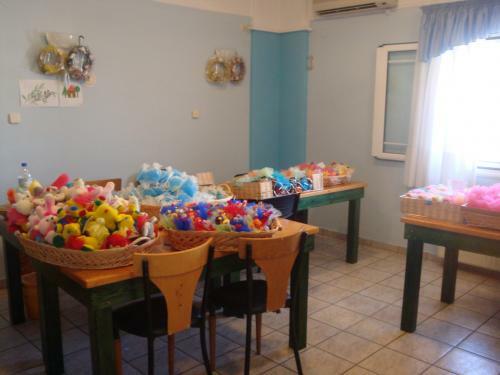 It allocates for its therapeutic program all the essential rooms for the corresponding needs and completely equipped workshops for the pre-professional training of the children. 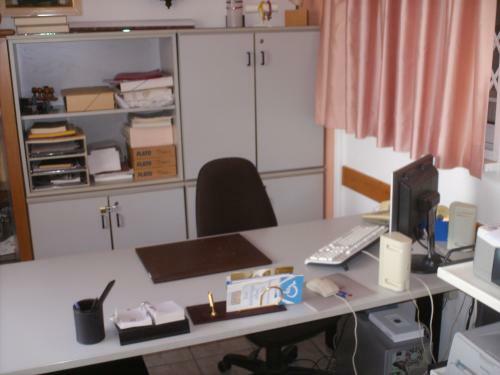 The administrative operations are served in organized spaces with all modern requirements. Images from a pre-educational class and a therapy room. 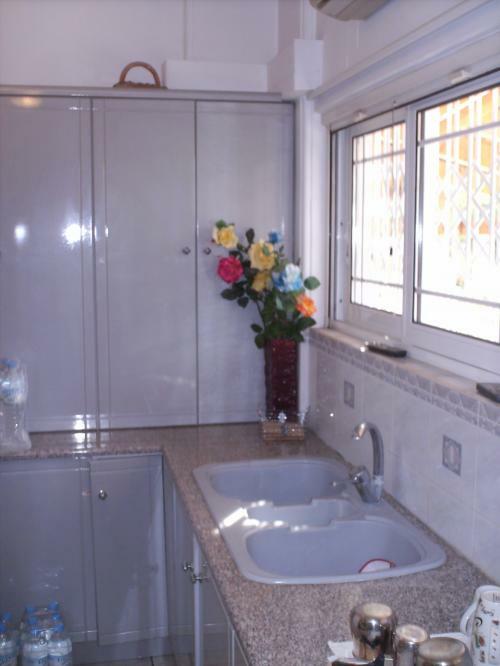 A dining and events hall as well as a completely organized kitchen are also available, with auxiliary spaces , such as washing and storage rooms. 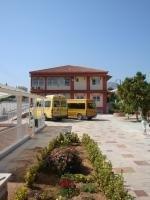 The transportation of children is taken care of by two special vehicles (school-buses). 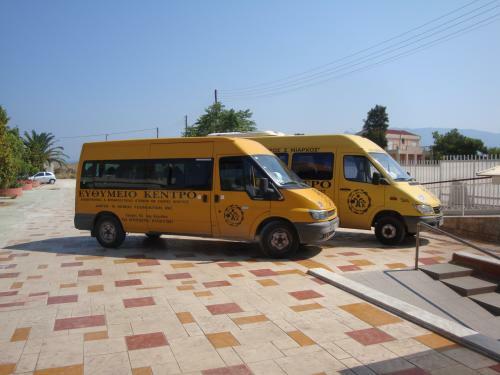 Two school buses provide safe trasportation to the Centre's children. 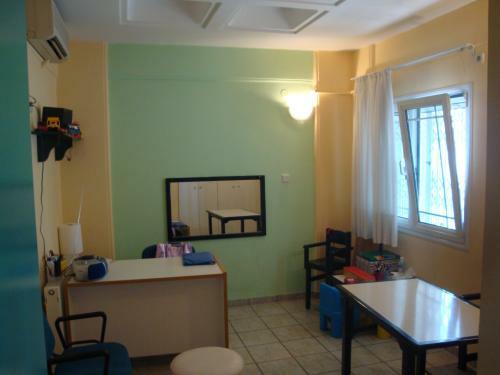 A special department in the operation of the Efthimeio Centre is none other than the New Wing, an excellent infrastructure that provides capacity of full and high quallty (24/7) hospitality and therapeutic education up to 9 children. We invite you to select “New Wing” from the main menu in order to see more about this and our effort to set it in use.